Blanca's first volume of poetry, La Brutalidad de Los hechos was published in 2011. Her poetry also appears in the Grupo Parasomnia's 2013 anthology of poetry, Al otro lado del verso. 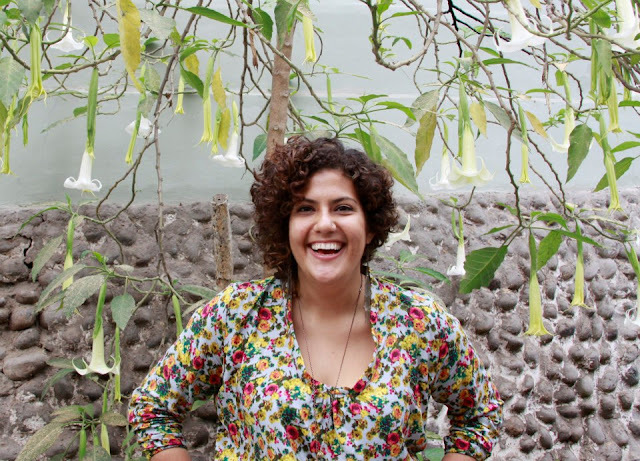 She is also the creator of an online multimedia poetry experience called Mis hombres y yo. We put Blanca behind the proverbial eight-ball and asked her to answer eight questions as to the vibrancy of Peruvian poetry yesterday, today and tomorrow and where her own poetic journey will take her. 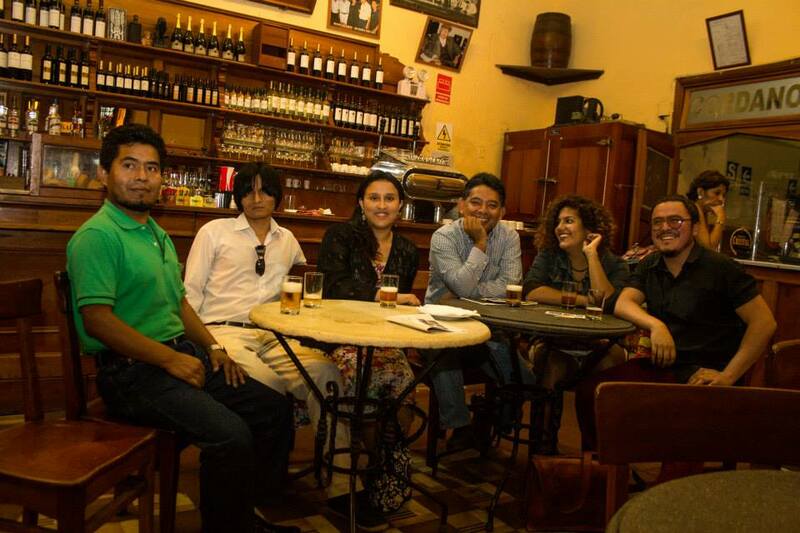 Grupo Parasomnia started in 2011 with founders Alfredo Coello and Kimbler Esquivel. Later on, other members were added, such as: Luis Alberto Medina; Efraín Altamirano; Eduardo Cabezudo; Karla Romero; Richard Alejos and; myself. Currently, neither Eduardo nor Kimbler are part of Parasomnia but we still remain very good friends. Grupo began due to the need for space and platforms for poetry to be heard. At the time there weren't many places to listen to poetry and only people who had been writing for a long time had access to them. We started working with Barranco's town hall, and later with other bars, restaurants and coffee places. I believe that thanks to the exposure that poets were getting after three years of hard work that there are now other groups and people doing the same thing that we do — creating spaces for poetry. The reach of the Grupo is extending throughout Latin America. What literary festivals have approached you? Do you see yourselves as ambassadors of Peruvian poetry? We're very pleased with this, it proves that for poetry, there are no boundaries. A couple of years ago we were invited to go to Guayaquil, Ecuador for the International Book Festival but it's hard to make these kinds of trips when the money for it comes out of our own pockets. We were very sad that we couldn't go as we have a lot of good friends from Ecuador. This year, we were invited to a Poetry Festival in Colombia, and we were determined to go. As for being ambassadors, I don't think that any of us feels that way. We're just trying to help people who write, trying to get their work heard, read and appreciated. Grupo Parasomnia from photo shoot for "Al otro lado del verso." Grupo Parasomnia has released one anthology to date, 2013's "Al otro lado del verso." How has the reception been for that? Is another anthology forthcoming or are the poets looking at publishing individual titles? It was a long process actually. At that time we were a group of five and it was hard to agree on everything. Nevertheless, at the end, we pulled it off. The book sold great, we only have a couple of them remaining. The idea for these kind of anthologies is to publish one every year, but after our first experience I think it will have to be one every two years!!! The goal is to also publish new writers for free. That's why in "Al otro lado del verso" we ran a contest in which two aspiring poets won and were included in the in published anthology. Each of us pursues our own literary career. Alfredo is about to publish a limited version of poems inside a personalized crystal bottle. I recently published another book also. As for the rest...they have no plans for now to publish a book of their own, but they have been included in many other anthologies as well. On a more personal level, speaking of Peruvian poetry, who is your favorite Peruvian poet from the past and why? That's a very hard question, I'm a proud Peruvian and the list of breathtaking writers is endless. If I had to choose only one, I couldn't. But I'll give you four! Blanca Varela because her poetry is not pretentious, she can write about deep emotions, using simple metaphors and words. Javier Heraud, he represents what every young spirit should be, his actions were consequent with his poetry and had an ideal that he stood for until the end of his young life. Emilio Adolfo Westphalen, he was a beautiful person, always helping people, believing in them, supporting art and culture as much as he could, and you can totally see that pure kindness in his writing. And César Vallejo, of course. He was my very first approach to poetry, my grandmother kept an old book of his poems with her own name written all over. Who is your favorite modern Peruvian poet? The poet who inspires your craft? A tough one again. I have no idea where I get my inspiration from...but there are many poets that I enjoy reading. There's Raúl Heraud, Indira Anampa, Zoila Capristán, Parix Cruzado, there are so many!!! And also, all of the poets of Parasomnia. 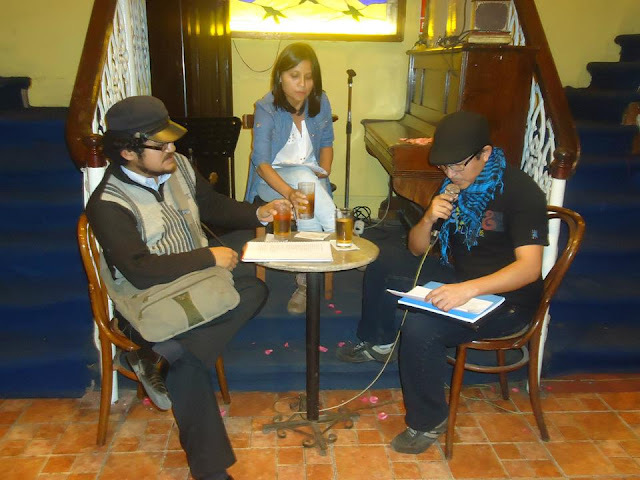 Other than yourself, what other Peruvian poets should the rest of the world keep an eye on? All of the ones that I have already mentioned! As well, part of the promotion that goes into our events in Parasomnia, is to upload a picture of the featured poet that is going to read and include a poem by him or her. People can follow Parasomnia's page on Facebook and see if they find something that grabs their attention. Poets reading at Grupo Parasomnia event in Barranco. What is your favorite poem? The one that makes you laugh? The one that makes you cry? My favorite poem? It would have to be one of Raquel Jodorowsky's. The ones that makes me cry, it would have to be Nostalgia by José Santos Chocano and I recently read a moving poem by Javier Heraud called El viaje del descanso/El deseo and El poema. How did your journey on the road to poetry begin? I've always written. My mom has a long collection of my poems, from silly ones to my dog to poems for her or my dad. I feel lucky that I grew up in a family that taught me that the only way to be free is by reading. I decided to publish a book when somebody else told me I had talent. I think this happens very often, as a young writer you don't believe in yourself until somebody else does. That's why I believe that what we do in Parasomnia is very important. Gong back to your question, that somebody was an elderly lady called Raquel Jodorowsky, I had the chance not only to meet her, but also to become friends with her. She pushed me to publish my book — La Brutalidad de Los hechos — and to pursue writing, she changed my life and I'm incredibly grateful to her for that. Where do you expect this journey to take you? I want to explore new forms and interactions of writing, continue to work on my own poetry until I can find my own voice. I want to keep on feeling the same happiness when someone that has never read their poems out loud thanks you for giving them the opportunity to do so. I'm not so much interested in the destination of this journey, but mostly in the experiences that I'll get along the road. 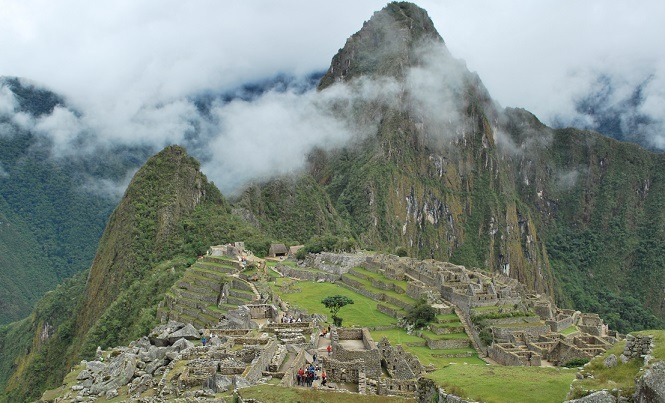 CREDITS: All images ©Grupo Parasomnia except lead image of Machu Picchu ©Mark Butkus.